Aric Almirola and the No. 10 Smithfield Ford Fusion team for Stewart-Haas Racing (SHR) head to Homestead-Miami Speedway to cap off what has been the Tampa, Florida native’s most successful of 11 seasons in the Monster Energy NASCAR Cup Series. While he fell short in the point standings and just three positions short on the track Sunday of transferring to the Championship 4 and the chance to battle for the 2018 Cup Series title during Sunday’s Ford EcoBoost 400, Almirola joins SHR teammate Kurt Busch in the battle to finish as high as fifth in the final standings. Almirola is seventh in points entering Homestead, trailing sixth-place Busch by two points and leading eighth-place Brad Keselowski by seven. Last week at ISM Raceway near Phoenix, Almirola qualified 18th and finished fourth after running as high as second place late in the race. Almirola’s history at Homestead includes one top-five finish and two top-10s in eight starts on the 1.5-mile oval south of Miami. But this is the first year Almirola has driven a Ford for SHR, which had all four of its drivers advance to the Round of 8 in the Cup Series playoffs after combining for 12 wins, 41 top-fives and 80 top 10s in 2018. SHR’s Kevin Harvick is one of the four drivers battling for the title Sunday as part of the Championship 4. The 34-year-old Almirola has had some success on 1.5-mile ovals this season. In his last 10 starts at tracks similar in length, he’s accrued six top-10 finishes with four of those earned in his most recent starts. He’s led 70 laps and earned an average start of 10.6 and an average finish of 13.4 at intermediate tracks this season. The 2018 season has been one of resurgence for the Smithfield driver whose highlight was a return to victory lane in October at Talladega (Ala.) Superspeedway. He nearly won the season-opening Daytona 500, as well as races at New Hampshire Motor Speedway in Loudon, Dover (Del.) International Speedway and, most recently, Phoenix last weekend. But Almirola took the checkered flag at Talladega just ahead of teammate Bowyer for his second career Cup Series win and the first with the Smithfield paint scheme. Under the leadership of first-year crew chief Johnny Klausmeier, Almirola set season bests this year in laps led with 181 – more than during his previous 10 Cup seasons combined – top-fives with four, and top-10s with 16. And no matter where he finishes in points after Homestead, he’ll notch another season best in the final standings. In addition to it being the conclusion of the 2018 racing season, the Smithfield Smoke Machine Ford Mustang giveaway culminates this weekend. The grand prize winner will be flown to Miami and will ride in the one-of-a-kind 2018 Ford Mustang RTR Spec 3 with Almirola for a few laps around Homestead-Miami Speedway. Tony Stewart, who designed the high-performance Mustang in conjunction with Vaughn Gitten Jr., will present the keys to the winner on Sunday during Ford Championship Weekend. The timing of his Talladega win couldn’t have been any better because he sported a special bacon-themed Smithfield Ford Fusion that afternoon. The unique paint scheme coincided with Smithfield’s Bacon for Life promotion. Yes, it’s possible to win bacon for life. The sweepstakes runs until Dec. 31, and fans can enter by finding specially marked packages of Smithfield bacon in stores, then visiting Smithfield.com/BaconForLife and entering the unique code provided in the package. More than 1,000 runners-up will be awarded select bacon merchandise. Almirola is piloting the traditional Smithfield paint scheme for the final race of the 2018 season but, with the holiday season is just around the corner, Smithfield continues to promote its perfectly cooked, spiral sliced ham as an ideal addition to most every kind of holiday feast to make family and friends feel special. Not only does it make holiday cooking a breeze, it provides equally flavorful leftover dishes. Fans can visit Smithfield.com/HolidayHub for information on how to make every holiday soiree a breeze, as well as foolproof tips and simple recipes that are sure to wow holiday guests with flavor-filled dishes for all the celebrations the season brings. 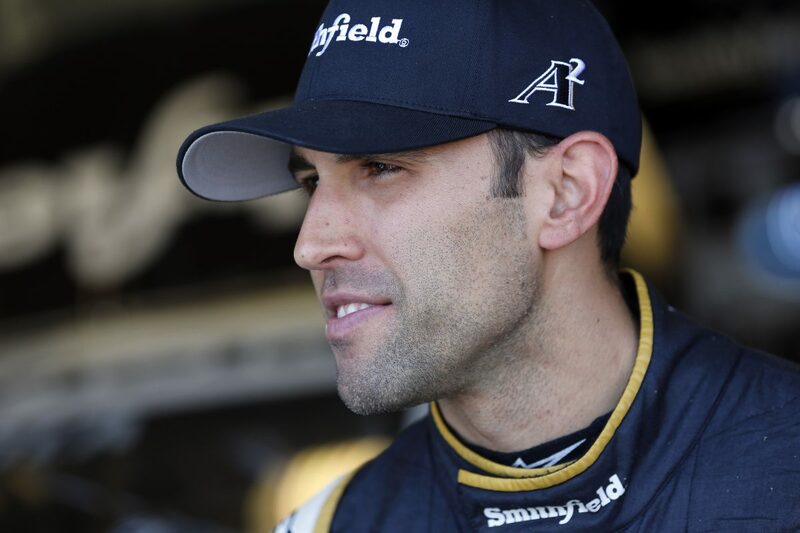 Almirola hopes for a good run this weekend en route to his best career points finish in order to build momentum for the 2019 Cup Series season that begins with the Daytona 500 on Feb. 17 in the No. 10 Smithfield Ford Mustang. For who or what are you racing for? How do you and your team stay motivated? What are your thoughts overall on the No. 10 team’s season? Any noticeable differences on your moving from an engineer to crew chief this season?